Scalp Micropigmentation is a fantastic solution for both men and women suffering from hair loss of many forms. 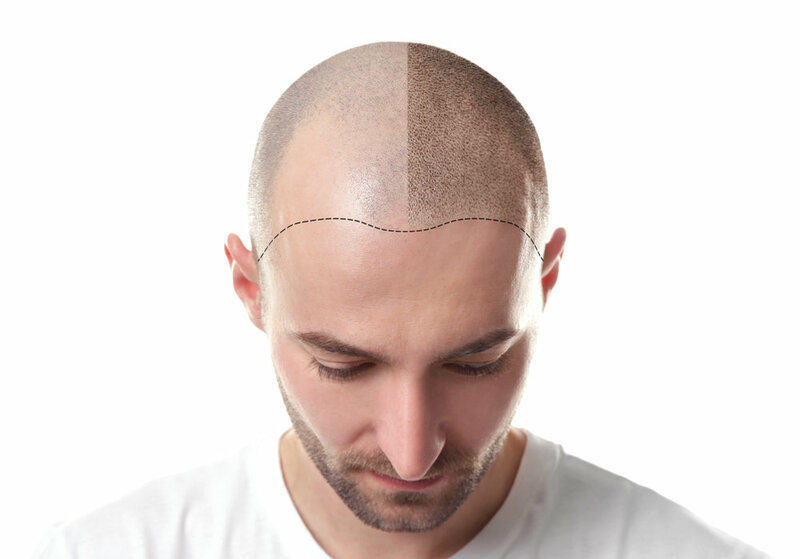 The treatment of scalp micropigmentation itself is relatively painless and requires no down time or medical injections, uses a technique that mimics the look of a close shaved head, facial stubble and thinning scalp hair fill ins. The scalp micropigmentation technique that we use is a 3D technique that gives the hair a natural look. We stage the process to 3 treatments, 5 to 7 days apart to allow us to build up the colour and depth leaving you with the look of natural hair . A patch test and consultation are carried out to confirm there are no contraindications and our fully qualified aesthetics and medical staff are always on hand in the clinic to make your journey to your fantastic new look a simple and easy transition. Scalp Micropigmentation is a fantastic solution for both men and women suffering from hair loss of many forms. The treatment itself which is relatively painless and requires no down time or medical injections uses a technique that mimics the look of a close shaved head, facial stubble and thinning scalp hair fill ins. The technique that we use is a 3D technique that gives the hair a natural look. We stage the process to 3 treatments, 5 to 7 days apart to allow us to build up the colour and depth leaving you with the look of natural hair .